415 East 4th Street in Reno. The red-roofed section is the site of the stalled winery, originally scheduled to open in October of 2016. A brew pub is operating in the other half of the building. Business appears brisk at the Lead Dog Brewing Company, which since January has occupied half of a low-slung stucco building on Reno’s revitalized 4th Street corridor. The other half of the building remains dark. A venture that planned to be the city’s first urban winery sits in a state of legal limbo, months behind its construction schedule, and unable to get the state’s approval to open for business. By the letter of Nevada law, the 4th Street establishment can’t open because it consists of three wineries under the same roof, a business structure known as an alternating proprietorship. The arrangement is permissible under federal law. It allows several licensed wineries share a facility, with one as the hosting entity. Tenant wineries must maintain separate identities and separate physical spaces for manufacturing, storing, and selling their wines. Stringent rules keep the finished products physically apart to track them for tax purposes. Participants in an alternating proprietorship enjoy cost savings from shared overhead. States are free to authorize the arrangement or not. It’s legal in neighboring states, but Nevada law forbids it. The 4th Street principals are part of a cadre of hobbyist winemakers hoping to take their products commercial following Nevada’s 2015 repeal of a ban on winery tasting rooms in Clark and Washoe Counties. Among the local winemaking community, enthusiasm runs high for the 4th Street wineries. But there is also hushed recognition that it stalled because its business structure is illegal – and that its future is in jeopardy. Reno’s wine insiders meet mentions of the 4th Street project with shrugged shoulders and sidelong glances. Some are quietly wondering whether Reno’s first urban winery could be doomed. “What’s next? Who knows?” the shrugs seemed to say. One industry professional who spoke with Grape Basin News was more blunt. “They didn’t read the law,” he said. Now, in an auspicious turn of events, the group may have a shot at changing the law. A state legislator has agreed to get behind a statutory amendment. Language has been drafted to expand Nevada’s definition of “winery” to include the alternating proprietorship, according to Randi Thompson, Executive Director of the Nevada Wine Coalition. “It’s not a slam dunk,” Thompson said, but she’s working with influential beverage industry players to accomplish the change during the current legislative session. Proposed language would allow alternating proprietorships, but limit them to a maximum of four wineries. The effort is notable because it was initiated well after the beginning of the 2017 legislative session. It was already late February when the 4th Street vintners received final word from the Nevada Department of Taxation – an advisory opinion explaining the denial of the 4th Street license. Lawmaking was underway in Carson City, and the Wine Coalition’s 2017 agenda has focused on other issues. Getting attention for a new issue is a tall order once the 120-day legislative session begins. “They brought me in very late,” Thomspson acknowledged. Three of the five principals in the 4th street project declined to be interviewed for this story. Nevada Sunset, LLC assumed the role of host winery. The company’s managing member according to the Secretary of State’s business registry is Mike Steedman. 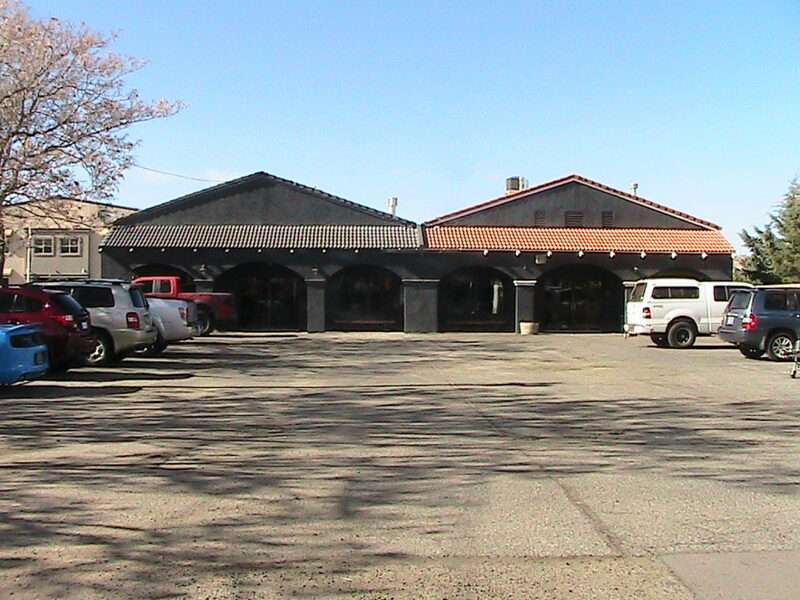 He has recently also owned a bar called The Studio, located across the street from the site of the planned winery. Another participant waiting for approval of the 4th Street project is Great Basin Winery, LLC is owned by University of Nevada Associate Professor Adam Hand. Neither company agreed to an interview. Grape Basin News spoke earlier this year with the partners in the third company. Wade Johnston and Joe Bernardo own Basin and Range Wines, LLC. All three companies have been licensed to operate by the Federal Alcohol and Tobacco Tax Bureau. The 4th Street project took shape as the three entities began charting separate courses to their own commercial wineries with tasting rooms. Winemaking is a capital-intensive affair, and the aspirants sought a cost-effective way to enter the business, according to Basin and Range partner Wade Johnston. After some discussion, they decided to share a space. The model for multi-winery facilities exists nearby in California and elsewhere. But it was about more than money, Johnston said. For the wine enthusiast, three wineries in one spot is more appealing than one, he told Grape Basin News. Johnston said the group spent 18 months searching for a location. They settled on unit B in the 4th Street building, although it required significant upgrades. They worked to ensure a layout that would comply with federal alternating proprietorship regulations. A lab and a retail tasting room were added. As the only professional purveyor of alcohol on the team, Steedman may have seemed like the logical person to take the lead in setting up the winery. But his ownership of The Studio, a bar across the street from the winery, became an additional legal obstacle. In documents obtained by Grape Basin News, the Department of Taxation laid out two legal reasons Steedmand and his Nevada Sunset Winery can’t be granted a license to operate as the anchor in the 4th Street project. Steedman’s other bar business is listed first. An advisory opinion dated February 24, 2017 says that under Nevada’s three-tier alcohol distribution system, a person can’t be both a manufacturer and a retailer of alcohol. The law provides exceptions for wineries, craft breweries and craft distilleries. But ownership of a separate bar was a problem. The opinion also cites the section of state law that prohibits suppliers – the wineries – from operating on the property belonging to a business that imports, wholesales, or retails alcohol. In the proposed arrangement, that would be Steeman’s as owner of the anchor winery and The Studio. Several sources with knowledge of the situation say Steedman has sold The Studio to clear the path to a license for the winery. Grape Basin News was unable to confirm the sale of the bar. If it has transferred to a new owner, that leaves only Nevada statute as an obstacle to reckon with. Nevada’s law against the alternating proprietorship is a protective measure against out-of-state winemakers, according to an industry insider with knowledge of the 4th Street winery’s issues. In California and other states where homegrown grapes are abundant, alternating proprietorships make perfect sense, the person told Grape Basin News. But in a state with scant supply, allowing such an arrangement would be an invitation to well-established brands from elsewhere – likely California – to locate inexpensively in Nevada, crush imported grapes, and sell their wines in on-site tasting rooms. The rationale is that outsiders could effectively undercut Nevada’s intention to develop its own wine industry. Similar arguments are frequently employed in Carson City by opponents of proposals that would boost small vintners and brewers — generally major liquor distributors and their clientele. With slightly more than three weeks left before the legislature adjourns, state lawmakers are swamped with demands. The end of the session becomes chaotic as pressure mounts from all directions to approve some new laws, and to kill others. If their amendment doesn’t survive, Nevada Sunset and the 4th Street partners could be left in limbo until the 2019 legislative session. He didn’t share the dollar figure, but it includes higher-than-anticipated construction costs. For Bernardo and Johnston, the costs include freezer storage for 12 tons of grapes harvested last fall from the Basin and Range vineyards. The grapes had been scheduled for production after the winery’s originally scheduled opening date last October. “I hate to even think about it,” Bernardo said of the money that’s so far garnered no return.